Our organization is indulged in manufacturing, trading and supplying a wide range of Densified Truck Flooring Boards. Owing to their durability, dimensional accuracy and strength, these boards aesthetically finished products find extensive application in various commercial sectors such as hotel, hospitals and homes. In addition to this, our offered products can be availed from us in different sizes, dimensions and standards. With the help of our state-of-the-art infrastructure unit, we are able to manufacture and supply the extensive range of Densified Plywood that is used for truck flooring, container flooring and trailer flooring. Our provided plywood is manufactured using optimum quality raw material and modern technology in adherence with industry norms. 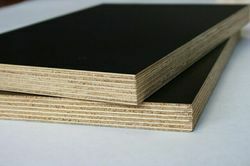 Moreover, this plywood is tested by our quality experts, before final delivery. The offered plywood is available in variegated sizes and thickness. Being a client-centric organization, we are offering Flooring Board to our valuable clients. Extensively used as a construction material for wooden articles, our provided flooring board is available in different sizes, designs and specifications. Apart from this, our offered flooring board is checked on varied parameters so as to maintain its quality. Precisely processed, this flooring board is available at nominal prices. 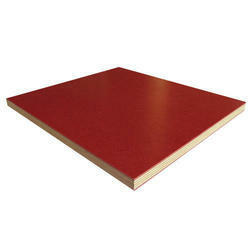 Looking for Densified Truck Flooring Board ?